Come on in for 3 Terrific Tasting Events! You are here: Home / Blog / Come on in for 3 Terrific Tasting Events! We will be sampling all 3 wines below! This is a FREE tasting. No RSVP requires; just walk-in. a mouthful of piquant just-picked raspberries. High on the Hog is a blend of (GSM) Grenache, Syrah and Mourvedre from vineyards situated in Santa Barbara County. The 2015 vintage is easy drinking and approachable with aromas of black tea, mocha, licorice, ripe plums and raspberries. On the palate, the wine shows lush tannins and very soft texture with flavors of black cherry, white pepper and smoked meat. A delicious bouquet of cassis syrup, violets, Christmas fruitcake, and milk chocolate. On the palate, flavors of black currant and mulberry compote mix with mocha, cinnamon toast, and vanilla. A great accompaniment to beef stew with wild mushrooms, fresh herbs, grilled ribeye steak with green peppercorn sauce, or macaroni gratin moistened with reserved beef stock. The original recipe started in the kitchen of a Stanford Medical Doctor and loving mother of three. With her kids’ best interests at heart, she created foods that promoted their active lifestyles while appealing to their demanding tastes. This vision has since grown beyond the confines of Ladera to support a vibrant healthy and active community across the country. Their recipes come from simple ingredients that we are all familiar with and have grown to love. They bake it all in small batches at low temperatures keeping the flavors and health benefits intact. They recognize the struggle in adopting a diet that is low in sugar and high in protein. The available options can be difficult to swallow. They aim to make this transition seamless by replacing the processed sugars with rich natural flavors. Their goal is to keep you feeling satiated throughout the day and power you through. Join us for a Loubier Demo! You will get to taste Loubier spices and sauces with freshly grilled chicken! Loubier Gourmet is a family-owned business based in Berkeley. Their goal is to take some of the authentic delicious recipes that were tested, and perfected in a restaurant they owned and share them with the world. 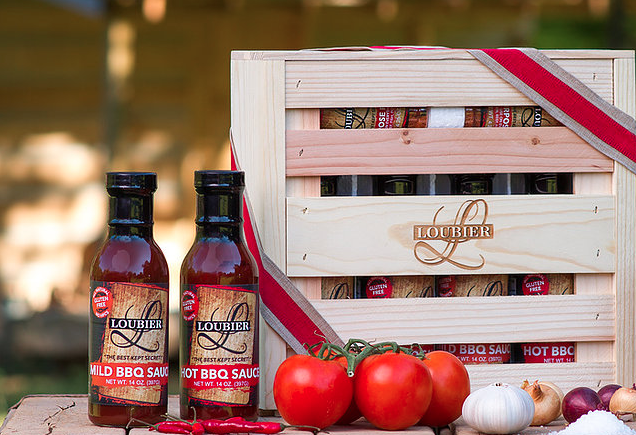 Loubier Gourmet sauces and seasonings continues to create remarkable products that give customers a “wow” experience. Come on down with family and friends on the 22nd and try these gourmet sauces firsthand. FREE Wine Tasting Tomorrow!Join us for a product demo!